We've been looking forward to making this happen for ages and with the generosity of one of our members who is a professional fencer, we're well on the way today. 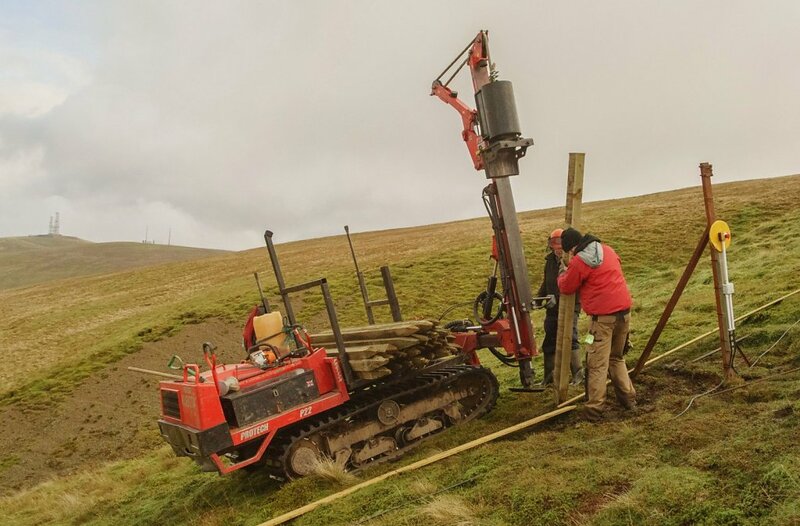 When finished, the snow fencing will make an enormous difference, collecting huge drifts which will outlive any thaws and ensure many more days of skiable snow even if the blizzards arrive sideways at 100 mph which is pretty typical for Scotland. 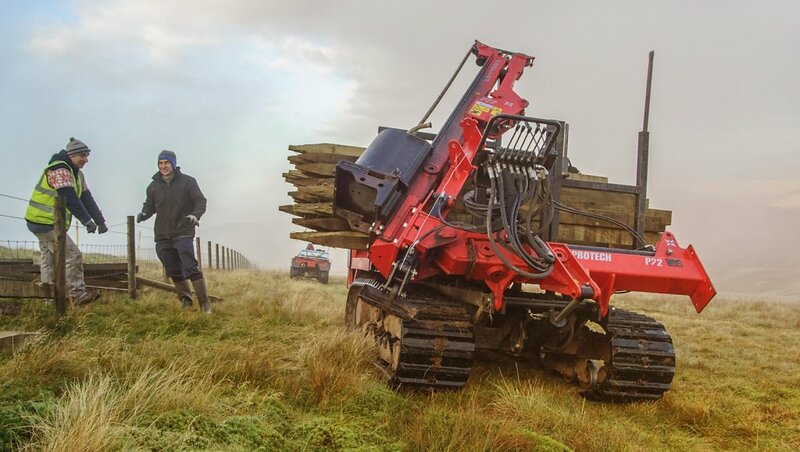 The mist clears and we've loaded the machine with its first batch of timber posts. The first post. 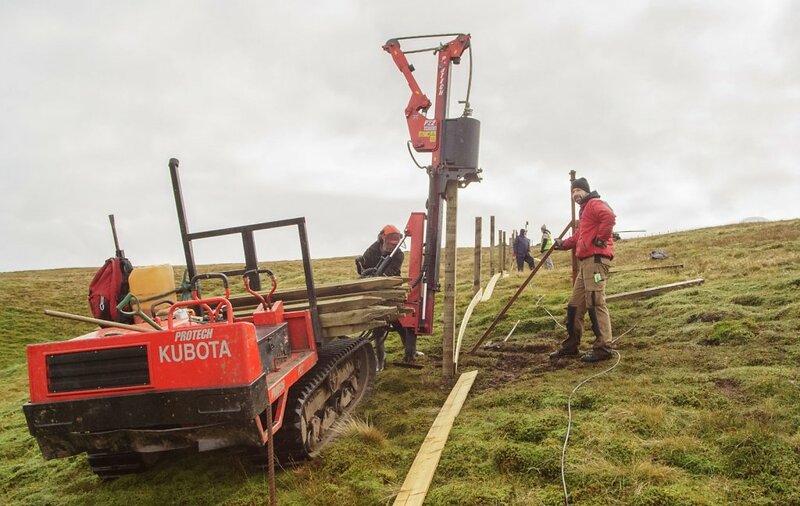 On the upper hill where it's windiest, we're using sections of telegraph pole for fence posts because of their gargantuan strength. 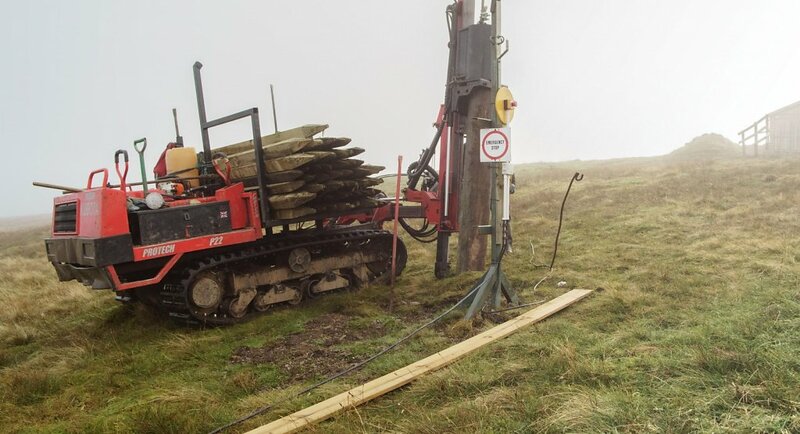 First telegraph pole safely planted. 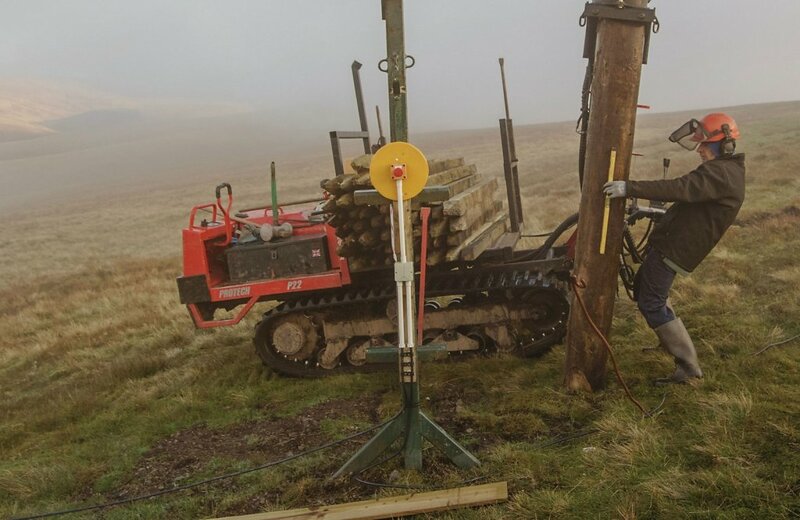 I'd pointed the sections of telegraph pole with a chainsaw so as to make them easier to plant but we were still astonished as to how Kevan and his machine made such light work of the job. Des and Kevan plant another 4x4 inch post. The weather was kind, a chill wind, but not brutal. The generosity and freely given time of our members is what makes the ski club thrive. 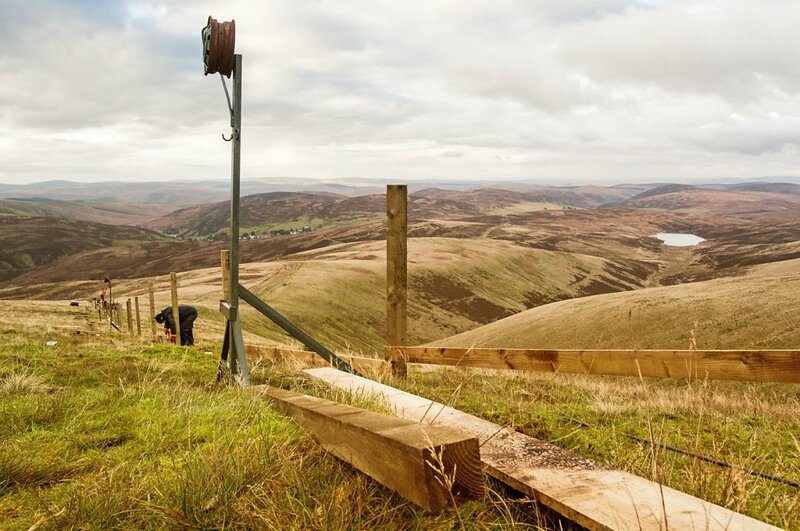 Here, thanks to a member who's a fencer, we're building a new snow fence from scratch on Lowther Hill. We're adding slats between each main post and using the line they make to add centre posts for each section.